Another year of growth for Accolo is once again recognized by one of the most prestigious financial magazines in the United States. Accolo, Inc. has been awarded Inc. Magazine’s 5000 fastest growing companies for 2012. This is the fourth year that Accolo has had the honor of being included in this prestigious list of companies which has included famous brands such as Levi Strauss, Facebook, Jamba Juice, Microsoft, Under Armor and many other companies that have become household names. The list represents the most comprehensive look at the most important segment of the economy—America’s independent entrepreneurs. Since its debut in 1982, the main criterion of inclusion in the Inc. 500/5000 is measurement of percent revenue growth over a four year period. In order to qualify, companies must have been generating revenue at a baseline of $200,000 at the beginning of the first calendar year and $2M by the end of the fourth calendar year. Additionally, prospective businesses must also be independent (not a subsidiary or division of another company), based in the United States and privately held. 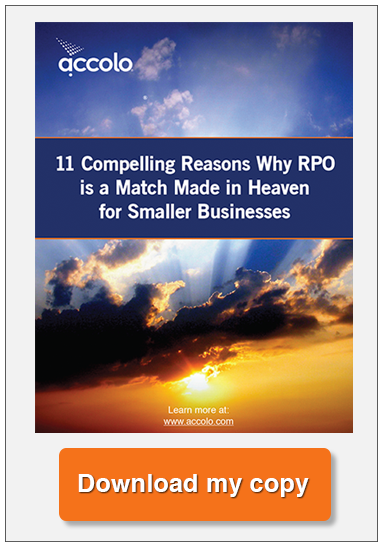 Accolo is the leading Elevated RPO provider. Unlike any other hiring option, Accolo’s bold approach combines a patented SaaS Elevated RPO platform with embedded social network job marketing, a Hiring Intelligence Knowledgebase™ and best-practice based workflow. 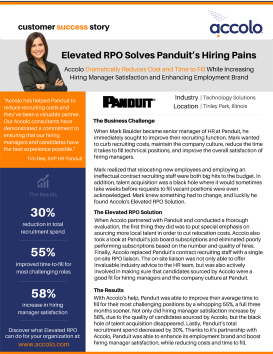 Companies use Accolo’s RPO solutions to materially Increase the productivity of their internal recruiting process, while being able to scale recruiting capacity on-demand. Many leverage Accolo as their turn-key internal recruiting department. Accolo is acknowledged as the leading Elevated Recruitment Process Outsourcer (RPO) and is a founding member of the Recruitment Process Outsourcing Association.